Nothing scares me more regarding the judicial system of the United States of America than the feeling I get after a conversation with others about a specific case. Fueled solely on media coverage and speculation, many will determine the guilt of the accused despite doing little to no actual research of their own. A verdict in the court of public opinion is handed down because of a cable news pundit weighing in with their opinion or sharing a personal bias regarding the look of someone or a gut feeling or the way a defendant behaved after the crime, because if grief is not handled with 100 percent uniformity from all it must be a sign of a deranged killer whom lacks compassion. I still remember the first time I saw a television special regarding the Amanda Knox case, but rather than solely take in those forty some odd minutes of coverage and treat such a brief assessment of the case and the evidence involved as gospel, I went out of my way to read a lot more material about how it all went down. 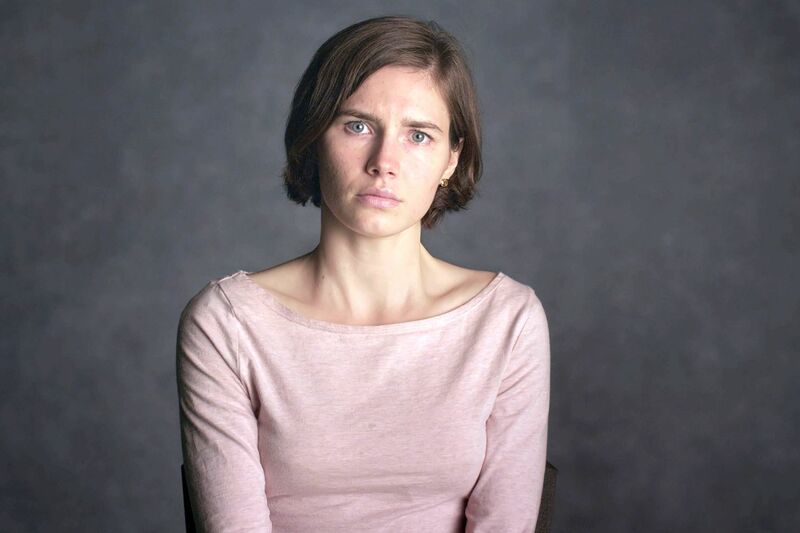 I came away from it all with this thought: Amanda Knox might be a murderer, but as a juror I would vote not guilty. When I told others this, they looked at me like I just admitted to committing the crime itself, the notion of reasonable doubt not being able to rise above the possibility of allowing someone with blood on their hands to walk free. I don't know what happened that night to Meredith Kercher, and the only people who ever will are those that were involved in such a brutal, unthinkable act. Maybe Amanda Knox did it. Maybe she was there. Maybe she encouraged someone else to do it. Maybe she simply didn't put a stop to it. Maybe she has been telling the truth all along and wasn't there at all. The disturbing reality of it all though is as a jury member, whether or not you think she was is irrelevant, it's whether the prosecution proved she was beyond reasonable doubt, and between botched forensic work and a reliance on the smallest traces of DNA evidence, there is far too much doubt for Amanda Knox to spend the next few decades behind bars. 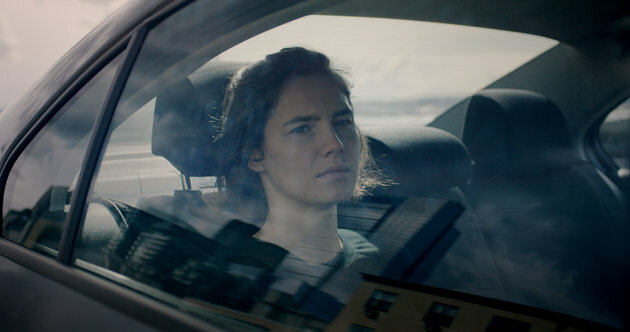 The new Netflix Original documentary Amanda Knox flies high enough to be a compelling watch and lay out the basics of the case for anyone who has remained in the dark about it up until now, but it falls short of truly soaring and I cannot express strongly enough how disappointing this is, because it's all right there. You can practically see a brilliant, layered, comprehensive documentary within these 90 minutes just begging to burst out, but the film cannot overcome its rushed pacing and the decision to make this a strangely bare bones journey from point A to point Z. Early on in the film, director Rod Blackhurst, writer/director Brian McGinn and co-writer Matthew Hamachek lay the groundwork for the story by introducing the viewers to Amanda, a pretty girl from Seattle, Washington who just wanted to experience the independence of adulthood by studying abroad in Italy. The journey of a lifetime, an unforgettable experience which turned out to be true, but unfortunately for all the wrong reasons. We see Amanda's roommate Meredith, and I could feel a slight sting go through my heart as she smiles at the camera and I look at that happy girl and know shortly after this moment we are seeing, her life would be cut far too short. We meet Amanda's lover Raffaele, a short term relationship with a boy that approached her, a young man who was instantly smitten with a young blond lady and an American accent. A boy and girl romance that would end in matching murder convictions. We see the aftermath of the murder and lord what a scene. Even with what I had learned prior to now regarding the case, this footage was new to me and it just feels wrong, with death feeling so private and intimate and yet we are allowed to see the depravity that resulted in the end of Meredith Kercher's life. The problem is, from then on this documentary plays things a little by the book in terms of progression, just a run down of what took place with seemingly little nuance which is even more frustrating because it's obvious they tried to tap into it. Sure, we get some of the dangers of having intense media involvement in stories like that of Amanda Knox and that is a very interesting angle, as a journalist admits during it that no one has the time to verify if "news" is fact or fiction anymore because doing due diligence to be sure just means you won't be the first to report the scoop, but anything like that to chew on isn't given the time to breathe. That's the crux of it with Amanda Knox, the length of this picture, checking in at only 90 or so minutes when it really could have used more. This is a complicated case with fascinating characters involved and it deserves better. Amanda Knox is a good film. It's utterly compelling even for someone who knows about the case, so I would imagine the less pieces of this puzzle you are aware of, the stronger it will play. I just wish it would have been 30 or so minutes longer in order to make the puzzle that much more complex.